With rationing and limited foods, “mock” recipes were very popular. Want goose for Christmas? Try this recipe for Mock Goose! Basically it’s a potato casserole and if not cooked long enough can be a little soupy. But, it’s Christmas. Pretend it’s meat! Place a layer of potatoes in a greased pie-dish, cover with apple slices and a little sage, season with salt and pepper, sprinkle on grated cheese. Repeat the layers, leaving the potatoes and cheese to cover. Pour in 1 cup of hot stock, cook in a moderate oven (350°F) for 45 minutes. Blend one tablespoonful of flour with remaining 1/2 cup of hot stock; pour into the dish and cook for another 30 minutes. 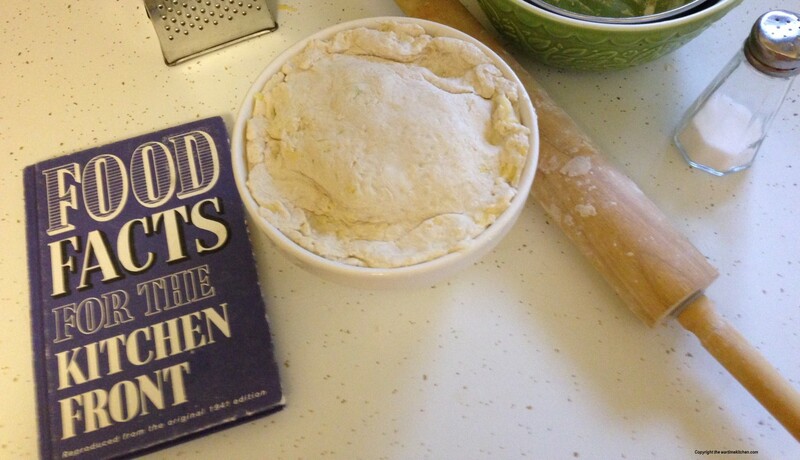 Original Recipe from ‘Christmas in War-Bound Britain’ adapted for today’s cooking. 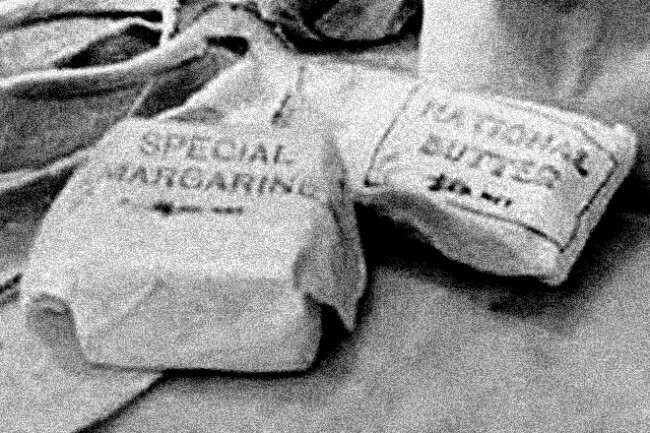 Even with the Christmas holidays approaching, all families still had to deal with rationing. Few fresh eggs or dried eggs, limited amounts of butter and other fats, sugar, and chocolate, as well as just about everything that was so good, yet so bad (as in unhealthy) for a person, was on the ration. Here is an Eggless Christmas Cake that is easy to make and delicious. The carrots and milk provide the needed moisture. vanilla and almond extract, and stir in with the dried fruit. tin (or use a fluted tube pan such as a Bundt® pan). Smooth the top, and make a deep hole in the centre with a spoon if not using a tube pan, to stop the cake from rising too much during cooking. Put into a hot oven (gas Mark 7=425° F) then immediately turn down to a very low heat (gas Mark 2=300° F) and bake for 3 hours. 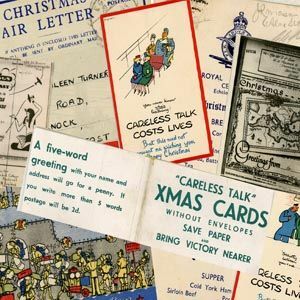 Due to rationing during the war, many families made their own Christmas ornaments. Since there was a paper shortage, any scraps of paper, old Christmas cards, and brown paper were used to make ornaments and decorations. Here is a video from the Imperial War Museum for making Christmas ornaments from folded paper!